Written by seoexperts	in CALL TO ACTION. How often have you looked at your marketing strategy and felt that you aren’t making the leeway you need to? Or worse, are you still wondering what Call to Action means? Here are a few Call to Action tweaks that can help you boost your conversion rate and get more from your conversion rate. What are Call to Action Tweaks? If you are a marketer, you are looking to generate more leads. Good quality landing pages can help keep viewers engaged. But you need a bit more, you need people to actually buy your product and service. A few of us still believe that Call to Actions are those few lines at the end that tell you to perform a particular option. No, you can have Call To Action anywhere in the content, though it’s often in the end and more commonly seen in a button near the end these days. Traditional CTA’s tell you to ‘Call Now’ and ‘Buy the Product Now”. But that’s mundane. It’s over used and you cannot increase conversion rate with that today. You need something better to get more leads. Small but effective CTA tweaks can help you do a whole lot more with your marketing campaign. Don’t believe us? Why do I need to focus on making the right tweaks? There are two different CTA’s that you have designed. Which one do you think will do the best? Do you believe a read through is the best option? 2. Analyze its performance individually over a few days each. 3. Track down the conversion rate for each CTA. We will be talking about A/B testing in most of the article here. For a number of tweaks listed below, you need to take two variables, A and B and do an analysis for each variable individually, and for different parameters to know which one works best for you. A/B split testing is often used in development testing to know what works best. Why do I need colors in my CTA button? Here’s something that’s interesting. 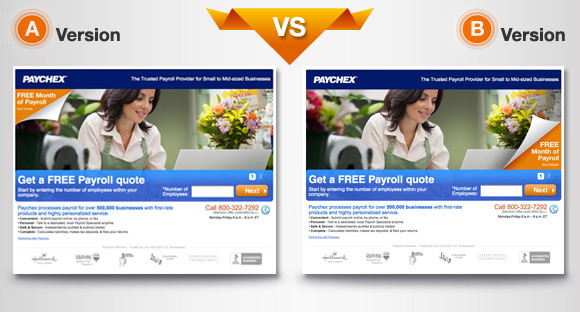 Which color can help you get more leads? Everybody loves colors. Interestingly, your visitors can be persuaded more to click on CTA buttons with a particular color compared to another. In short, the right color inspires confidence. It enhances the brand image and makes readers feel at ease. You don’t need your CTA button colors to blend in totally with the page, you want it to stand out and yet not seem cocky. You need to test what really works. Why do I need a text CTA? It’s wonderful to use media rich online resources to create CTA buttons that are aimed at drawing conversions. Sometimes though, you can do better without them. Do A/B split testing using these two methods, one having a CTA that blends in totally with the post and one that really stands out. Where do I need to place my CTA? You can place your CTA anywhere. However, note that most readers only read around 60% of an article. It’s not really a good idea to have a CTA right at the bottom of an article or post. Instead, have it above the fold or near the top of the page so that visitors don’t have to look for it. Try out different places of CTA’s on your blog posts. Do I need to use motion based CTA’s? Siding CTA’s can look cool. However, they aren’t the best option to have always. A CTA sliding in as a reader reads through is nice, but you don’t want to break the concentration too. You can test out animated CTA’s at different places of the content and compare it with the static CTA you had before. What tone do I need to use? More often than not, it’s good to be personal. Studies indicate that a ‘Create My Account’ button will do better than a ‘Create Your Account’ one. The theory’s simple. People like to feel at closer and at ease with the site. Every phrase in the CTA can be put differently. 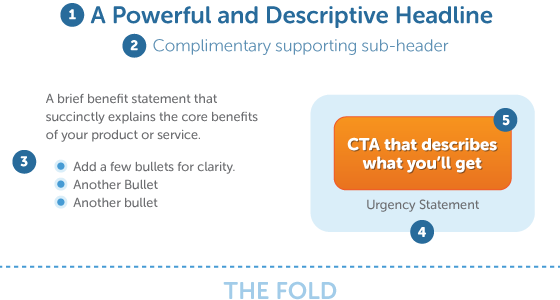 Here is an image below from a study completed by Hubspot that tells of the different conversion rates for slight changes in the CTA. While you do not want to shout out that you are selling the product, you want your CTA button to be noticeable. Having small CTA’s that are unnoticeable isn’t going to fetch you anything, except increasing costs of course. If you are unsure as to the right size, test with different button sizes. Experimentation is the key. Do I need to tell people to take action immediately? The longer people go away from your landing page, the lesser is the probability that they will actually subscribe to your service or buy your product. You need to persuade them to take action at the time they are reading the content itself. Add in a sense of urgency and give them takeaways. Do you have something for the first 50 buyers? Are you stopping the sale after the next 24 hours? Adding in an element of urgency can increase chances of conversion substantially. – Ask users to sign up to get free content about the course. – Offer free eBooks, blogs and white papers. Remember, more email ID’s means an increase in the number of potential customers too. – Offer engaging and compelling content and mix it up with different media like audio and video. – Ask questions in most of the content you offer and make your readers inquisitive. Remember, these are the readers who are the most interested in what you have to offer. – Ask them to buy the course. Building trust and adding in value to what you offer will help readers buy your course. Here, the CTA button didn’t actually help you end up making that sale but it helped you make your mark and be noticed more than your competition. What do I need to know before making the CTA tweaks? In the end, your CTA tweaks can offer only when you have the right and engaging content. It’s good to sell your product but not that wise to be overly promotional. Be clear, do not try to woo in people with complex business language. You need to let them know that they actually need what you have to offer, and that needs to be done in a language that all can understand. Ensure that your landing page addresses all the objections a person can have. If you are selling a book, back it up with basics like why your readers should believe in you and explain the problems that the book will solve. Explain the value of the product. You need to think of the different objections one might have as a reader and explain each of them in the landing page content. Then, experiment with CTA tweaks. Choose colors, try out different placements of CTA’s in the content and check out what type of CTA works best for you. It might take a few months to zero in on the right CTA tweak that will work the best for you, but then increased conversions and sales don’t hurt, do they? Reader oriented content presentation PR and SEO – a double act with superpowers Long tail keywords for SEO How well does your brand travel?